Since 1930, Scotch Brand has been the innovator of unique products that help to fix, ship, mount, make and create. Everyone has used Scotch Brand Magic Tape at least once in their life. Did you know that Scotch Brand Products can be used to make everyday tasks easier? Here are some of the unique ways that Scotch Brand Products can be used at home or at the office! If you love unique designs on nails or even just a French Manicure, Scotch Magic Tape can help! 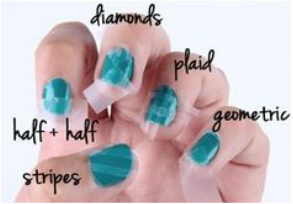 All you need to do is cut pieces of Magic Tape strips and place them on your nails as seen above and paint your nails between the strips and voila your a Nail Art Pro! 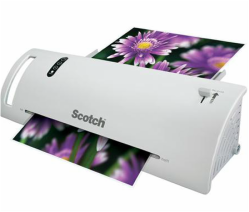 Using the Scotch Thermal Laminator create works of art! You can laminate drawings or even laminate flower petals to make unique works of art. You can also create bookmarks, place cards and more! The possibilities are endless! ​For those that use make-up on a daily basis, Scotch Magic Tape can be used to extend the life of your make-up by mending broken compacts! Whether you are moving or need to send out packages for work or as gifts, Scotch Heavy Duty Tape can help! For irregular shaped items use scissors and tape to cut up and combine multiple boxes to create a custom box for your package! 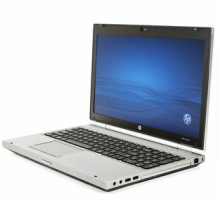 Whether you use a laptop for work or for personal use, you will notice that dirt, dust and sometimes even snacks get trapped between your laptop keys! In order to get rid of the mess use Scotch Magic Tape to clean between the keys! For those that have no clue on how to arrange flowers, Scotch Magic Tape can help! All you need is a clean dry vase, flowers and some tape! Fill your vase with water then on the top of the vase make 3-4 vertical lines across with tape and four horizontal lines across with tape. It will eventually look like a tic tac toe pattern. Once your done arrange the flowers in the gaps and voila- you have just arranged your first bouquet!